Whether you are looking to train for a charity challenge, get back into shape after having a baby, or you are an avid fitness fan, Bluecoat Sports is the place for you. If you’re looking to run a marathon, we will help you get to that finish line. If you want to shift those last few pounds, we’ll help you banish them and get fitter. If you’ve been injured and want to get back in to training, we’ll work with you to achieve this. As a Bluecoat Sports member you will benefit from our state of the art fitness suite. There’s something for everyone here, with a range of world leading Technogym equipment over two floors; whatever your current fitness level, from your first time in the gym to a seasoned gym goer, you will be able to reach your fitness goals. Variety is the spice of life and you can choose how you train as the fitness suite has a wide range of Cardiovascular equipment, with each machine allowing you to pick different challenges and games. And you won’t get bored whilst working out, the machines even have TV and Netflix to entertain you! In addition, we have a dedicated weights area with a mixture of resistance equipment plus a free weights area with dumbbells up to 40 kg, barbells and a power rack to give you a whole body workout and increase your strength. We all like to monitor how things are going and you can keep track of your fitness progress using the ‘My Wellness’ free app. Connect the app to the machines to track your progress and to join in with challenges. You can also work through personalised programmes the fitness team have created for you. If you prefer to get away from the screen though when you’re exercising and want a ‘digital detox’, you don’t have to use the app as you have the ‘just press go’ option on our machines! You don’t need a technology degree to work our equipment, you can start your workout quickly and easily and have that screen downtime we all need occasionally. 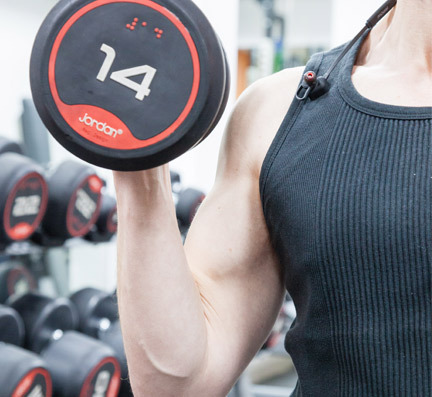 We believe our team are key to your enjoyment of the gym and the achievement of your goals. So, all our team members are fully qualified as you’d expect, plus they are friendly and supportive as well! We’ve worked hard to bring together a team we know you’ll find knowledgeable as well as approachable. You’ll achieve those health and fitness goals with the team offering you plenty of support and advice to help you stay on track with your training. They are always happy to have a chat and offer guidance when you need it, and sometimes we all need a little extra support when the going gets tough! If you do need a little bit more support with your training, then our ‘Just Wellness’ programme is for you. This is a two stage programme using a state of the art app to help log your progress. Just Wellness gives you the guidance and support you need to help you achieve total wellbeing. Whatever your goal – changing your shape, becoming stronger, improving your health, having more energy, or just feeling better in yourself, our team of expert fitness advisors will work with you to use Just Wellness to get you to where you want to be. Get together with your fitness advisor to work out your goals and targets. They will chat with you about how best to get results and meet your goals, based on your current fitness levels and preferences. Work through the bespoke programme your fitness advisor has put together for you, based on Just Wellness 1. Book in a review every 6 weeks. This is to check your progress and so your fitness advisor can tweak your programme if need be to help keep you on track. If you prefer working in a group and having the support of others during your workout, you can join in a group training session. You often tell us you like the accountability of group sessions as you’re more committed to joining your group than if you were working alone! In the group sessions you’ll learn new ways to train and add variety to your workouts as well as maximise your use of all of the equipment. You can choose a session to suit you, whether you’re looking to build your strength, improve your fitness levels or improve your core and flexibility. Not sure which is right for you? Have a chat to one of our friendly instructors and they’ll be happy to recommend the best group session for you.